The headquarters of the Association Združenie hlavných kontrolórov miest a obcí Slovenskej republiky is a city Svit. Municipality in Svit to Hviezdoslavova street. 33, which is also the workplace ZHK SR in cumbent President, Ing. Ľudovít Budzák. To date, this association registered about 370 members in the ten regional sections in Slovakia. 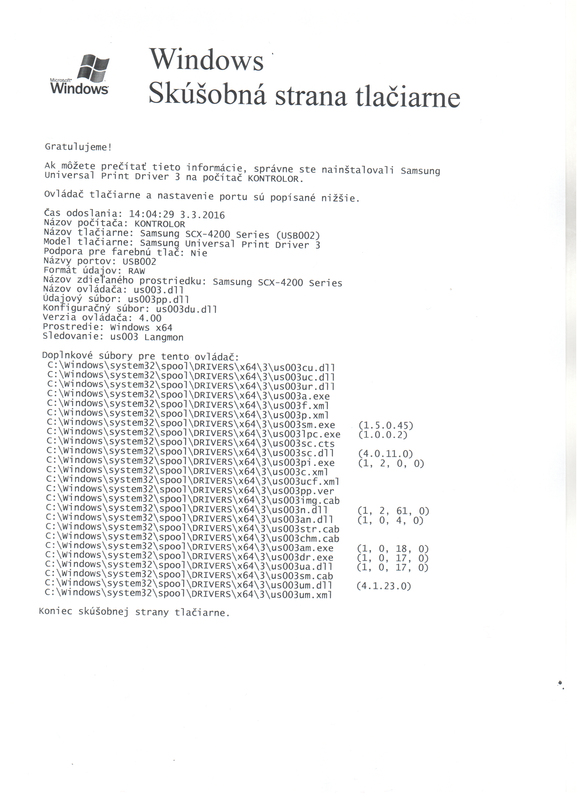 Appointing a concilium ZHK SR was held on 22.9.1992 in Banska Bystrica. At this concilium brought together 122 principal controllers of towns and villages of the Slovak Republic. On the initiative of the inspector Bratislava Ing. Ladislav Záhumenský, held in 1991 in Poprad and Bratislava meeting, which was attended by about seventy inspectors major towns and villages, and they declared the need of an official body to represent the main controllers in relation to national authorities. Dr. Záhumenský was the initiator of the idea of establishing the association of the main controllers (hereinafter ZHK SR). He created the first coordinating committee ZHK SR.
Bureau ZHK SR is the president who is elected by the General Assembly and 10 members representing their regional section, and the validation of the General Assembly. The Presidency is the coordinator of activities ZHK SR in the periodbetween the conduct of the association councils. Organizes, initiates and oversees the activities of associations and activities, which were imposed Assemblyresolutions ZHK SR, and that its obligations under relevant provisions of the internal standards ZHK SR.
President ZHK SR is a statutory body of the association, acting on behalf of the Association and represents the association externally in the range of authorizations granted him a concilium, and resolutions of the Bureau's internal standards ZHK SR. Control´s Commission ZHK SR is the supervisory body of the association. ZHK SR Control Commission (hereinafter referred to as "KK") performs particularly management control of funds and property ZHK SR and abide by the statutes and other applicable laws relating to the operation ZHK SR. The Presidency, Chaiperson of Control Commission and the Association are elected bodies ZHK SR.The term of elected bodies ZHK SR is four years, beginning with the announcement of the election and ends on election of new authorities ZHK SR. To address the specific problems created Bureau ZHK SR specialized Commissions, which elects from its chairman. At present, two working commission, economic and legislative-legal. Administrative and economic work are provided by administrative staff. 1.ZHK SR focuses its activities mainly within the scope controls on municipal SR.
2.ZHK SR leads its members to high professionalism in the areas of control toensure effective implementation of control activities and implementation of its results. 3. ZHK SR cooperates with professional bodies, organizations with similar or related orientation at home and abroad. - Proposals and commenting on draft legislation concerning the control of thegovernment. Cornerstones of Principal Controllers Association of Towns and Municipalities of the Slovak Republic, the regional sections, which are formed on a regional basis,are open and are not intended teriotoriálne solid boundaries. The role of theregional section is to provide activities and fulfill the tasks and objectives ZHK SR, in accordance with the statutes and internal rules ZHK SR. Regional Section of SR. Valid name and number of regional sections is part of the organizational and Rules ZHK SR. To set up a regional section is required at least 10 full members ZHK SR. Activities of the regional section manages and organizes its leaders, electedmembers of this section. The mission of the regional section of the associatemembers ZHK SR and create conditions for them to exercise their membership rights ZHK SR. Each regional section you can also create your own control panel. In the period between the conduct of council discusses a simple majority of members present at the regional section is recommended to approve the draft budget and final account ZHK SR.
10.Žilinská regional section ZHK SR, Head: Ing. D. Laššák. ZHK SR members of the may be persons who share the objectives of the association and its articles of association and who want their work to actively participate increating conditions for effective and efficient control of the government of Slovakia. Membership ZHK SR may be proper or fair. Full members may be the main inspectors and employees of cities and villages working in the departments of the main controller and experts dealing with legislation in this and related areas. Ordinary membership ZHK SR is an individual and consists of individual full membersorganized into regional sections ZHK SR. Ordinary Membership is filing head of the regional sections ZHK SR and paying the membership fee. ZHK SR honorary member of the may be a natural person who is long and proactively participates in activities ZHK SR, or otherwise helping to increase professionalism and effectiveness of performance monitoring activities. Honorary Member has an advisory vote. Honorary membership confers concilium ZHK SR after prior consultation of the Bureau to draft at least one RS. A member has the right ZHK SR participate in activities, supervision and development ZHK SR and participate inactivities organized by the association propose candidates and to vote and be elected to bodies ZHK SR / apply for an honorary member of /, use the opportunity to exchange experiences with other members of the association, particularly in the regional section, exploit opportunities for training and continuing education activities organized by the association and use the benefits while their membership require institutions and organizational units ZHK SR consulting assistance in resolving issues which fall within the scope of the tasks of Principal ControllersTowns and Communities, require authorities ZHK SR help and support in-court protection of their rights in connection with the performance of control activities in the local government of the SR, make proposals for streamlining operations ZHK SR through bodies ZHK SR administered by the relevant powers and authorities, institutions and associations in SR suggestions and proposals to create or changelaws governing the exercise of control or suggestions for improving control activitiesin the local government in Slovakia. In the case of an individual activity shall immediately inform the authorities ZHK SR.
ZHK SR member must: observe the ZHK SR standards and associations timely pay the amount specified in the membership fee /honorary member in addition to/, ensuring that the reputation ZHK SR creatively and proactively participate in activities ZHK SR in accordance with their status, roles and statutes. Association of Principal Controllers municipalities Slovak Republic is apolitical organisation offered their professional potential to address social problems and challenges arising from the ongoing decentralization and transfer competence from state administration to territorial self-government, in conjunction with, the interestsand independent standing around the inspector, as the guarantor of transparency, socio-economic phenomena in villages. Activities of the association in the past has been directed at improving the working conditions created for the community as a master controller and to promote legislative changes to ensure the independence of the implementation of this feature. Of the most important feature was the incorporation of the inspector to Act No. 369/1990 Coll. on municipalities, which areexhaustively set salary requirements and responsibilities and procedures for itsactivities. An important factor was the possibility of reintroduction of business tieswith regard to the inspector in a small village, which are often only a symbolicremuneration for work done. 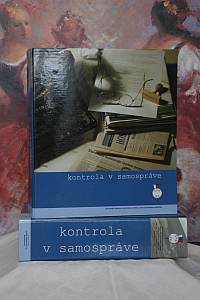 Approaching the period of 20-year operation ofPrincipal Controllers Association of Towns and Municipalities of the Slovak Republic in local government, which also means a recapitulation of the achievements of the previous period, with responsibility for setting the newassociation for objectives and tasks, were regularly to ensure thatthe environment for the management of public funds municipalities.